Imagine you attend your 10-year high school reunion and discover that the meek, quiet, reserved, and studious girl that few paid any attention to in high school had morphed into a beautiful, charismatic and captivating woman? An astrologer might say that it's because her Virgo Sun had progressed into Libra, and the once shy Virgo's sense of who she was had taken on more meaning and she had grown and evolved. 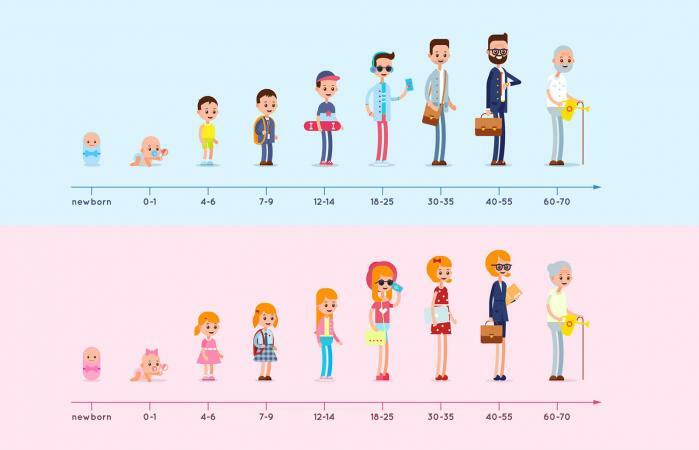 As you age your body gets older and you look more mature; however, your fundamental attitude, point-of-view, thought process, values, and actions have also changed. It's these fundamental shifts and your evolution as a thinking, feeling individual that can be seen through the lens of progressions. Your birth chart is like a seed that grows, and secondary progressions are a tool astrologer use to bring an individual's birth chart into the present moment. A progressed chart does not replace your birth chart, it is an extension of your birth chart. Often referred to as personal transits, the slow-moving progressions move around your birth chart changing signs, and connecting with all the planets and point in your birth chart. Transits are the relationship between the planets in the sky and the placements in your birth chart. They are always involved during significant life events. Transits and progression together, allow astrologers to pinpoint the timing of the significant events in your life. They lay the internal foundation for life's events. Even though it sounds far-fetched, secondary progressions are measured using a "day for a year" formula. Whatever age you are now, the planetary activations when you were that many days old are now impacting your life. Astrotheme has a tool that will calculate the current sign and degree of your progressions (sometimes call Secondary Directions). However, if you're not a student of astrology you can get a free introductory report at MyAstrologyCharts. However, to see the magic of secondary progressions at work consult a professional astrologer. The progressed sun, moon and solar/lunar phases are the most used progressions. The progressed Moon is the fastest moving progression, the Moon in the sky spends two-and-a-half days in each sign, the progressed Moon spends two-and-a-half years in each sign and moves around your entire birth chart in 27+ years. When it changes sign, it shifts the underlying theme, mood, and focus of your life for the period it is in that sign. For example, when your progressed Moon moves from Scorpio to Sagittarius it can be like a bright light has suddenly turned on. For the next two-plus years you'll be more optimistic and willing to try thing you never have before. 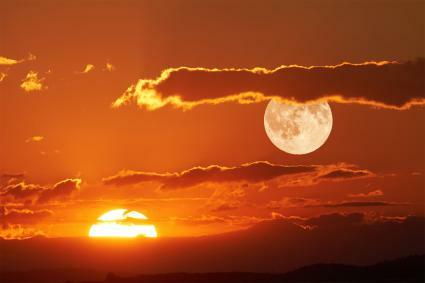 The Progressed Sun represents how your ego identity evolves over the years. Your first progressed Sun occurs sometime before you're thirty years only and then every thirty years. Which means, unlike the progressed Moon, it will only progress through two or three signs during a lifetime. As an example, if your progressed Sun conjoins Mars, you'll begin expressing your independent and enterprising nature in one way or another. As an example, the progressed New Moon is the time of conception. The progressed New Moon is like being 3 minutes pregnant and not knowing that you're carrying a new life. But, there's a feeling of excitement, a sense that something important is in the air, and a pioneering quality to the three years surrounding the progressed New Moon phase. Progressions of Mercury, Mars, Venus and the Ascendant also predict personal evolution, each in its own unique way. Progressed Mercury represents how you mature mentally, and how your style of communication and your thought process changes over time. As an example, if progressed Mercury conjoins your natal Moon, you'll integrate emotions into the way you think and communicate. Progressed Venus represent how what you like, values and love changes as you mature and evolve. As an example, if your progressed Venus conjoins the natal Ascendant you begin presenting yourself more beautifully and harmoniously. Progressed Mars represents how your drive and energy changes and evolves as you get mature. As an example, if progressed Mars conjoins your natal Moon, your actions begin to take on my emotional intensity. Progressed Ascendant or Rising Sign represents an evolution in physical appearance, personality, relationships. As an example, when your progressed Ascendant moves into Scorpio you'll become more intense, deep, mysterious and are likely to attract more stable, sensual and attractive partners. If you don't follow or know much about your progressed chart, you're missing out. Astrology is complicated. Your progressed chart can reflect your current life experiences even more than your birth chart. You'll always have these natal influences; an acorn, if planted, grows into an Oak tree. However, like a strong prevailing wind can mold a mighty Oak, the progressed chart shows how your life has molded and changed you.